Visibly shaken, President Obama did little to try to hide the anger and frustration that have deepened as he returns again and again to the White House lectern in the wake of another deadly mass shooting. It was the 15th public statement Obama has made after a mass shooting, this time from behind the lectern of the news-briefing room named after James S. Brady, a former White House spokesman seriously wounded in the assassination attempt on President Reagan in 1981. “The conversation in the aftermath of it — we’ve become numb to this,” he added, citing Columbine, Colo.; Blacksburg, Va.; Newtown, Conn.; Tucson, Ariz.; Aurora, Colo.; and Charleston, S.C., a litany of places now synonymous with mass carnage. 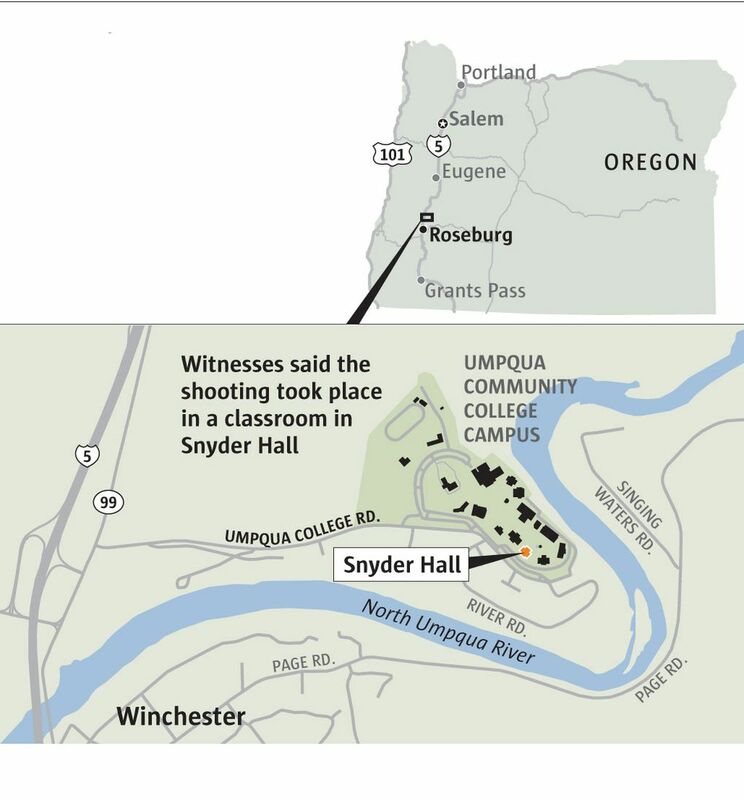 Obama said he had visited Roseburg, Ore., the town where the site of the massacre, Umpqua Community College, is located. The gunman, identified late Thursday as Chris Harper Mercer, 26, was killed in an exchange of gunfire with police, authorities said. Obama dispensed with any pretense of accommodating his critics, rebutting predicted responses in unusually blunt terms. He noted that even as he spoke, he knew counterarguments were being prepared: that what was needed was more guns, or fewer restrictions. Obama pointed out that when mine disasters or floods kill people, the U.S. acts to improve safety, but that the same reaction doesn’t apply to gun violence. Obama admitted that he was unable to do anything to prevent such tragedies by himself. And, visibly shaken, he did little to try to hide the anger and frustration that have deepened as he returns again and again to the White House lectern in the wake of a deadly mass shooting. He took a veiled swipe at the National Rifle Association (NRA), the powerful gun lobby that has managed to forestall most federal legislative efforts to put limits on gun use or manufacture and has helped push through legislation in many states making gun use and carrying far easier. “And I would particularly ask America’s gun owners who are using those guns properly, safely to hunt for sport, for protecting their families, to think about whether your views are being properly represented by the organization that suggests it is speaking for you,” he said. Roseburg’s horrific killings: all too familiar? Obama’s most recent remarks on a mass shooting came after the massacre at Charleston’s Emanuel African Methodist Episcopal Church in June, when he made clear his frustration with the lack of political will to consider gun-safety legislation. “At some point it’s going to be important for the American people to come to grips with it, and for us to be able to shift how we think about the issue of gun violence collectively,” he said at the time. In an interview days later, Obama said Congress’ inability to pass an expanded background-check proposal in the wake of the Newtown school shooting was the most “disgusted” he’s felt during his presidency, but he seemed resigned to the political reality of inaction. 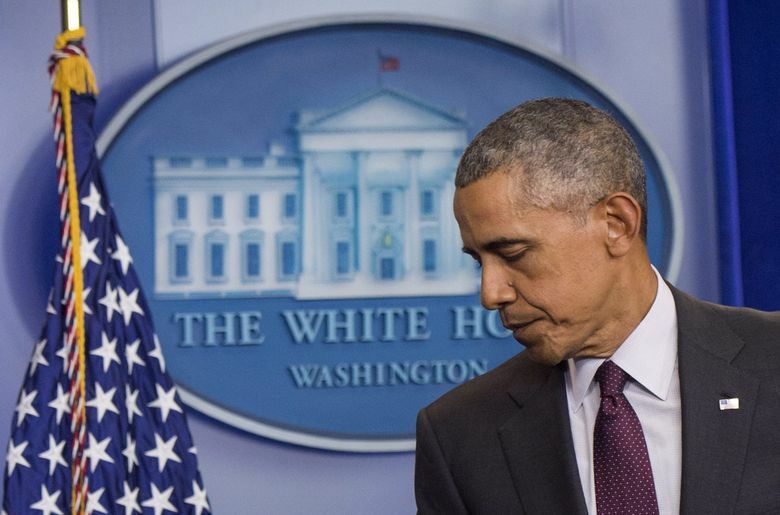 On Thursday, as the first reports surfaced about the Oregon shooting, a White House spokesman insisted that enacting gun-safety laws remained a top priority for the president but that he was “quite realistic” about the need for a change in the political climate before Congress would ever strengthen gun restrictions. Obama advised voters choosing who to represent them that “this cause of continuing death for innocent people should be a relevant factor in your decision” and committed himself to making his case anew after any future mass shooting. “Each time this happens, I am going to say that we can actually do something about it, but we’re going to have to change our laws, and this is not something I can do by myself,” Obama said, calling on federal and state elected officials to help him.